To begin this project, we started by learning all about sociology- the study of society. We learned about norms, values, folkways, mores and taboos from different countries. We studied the seven social identity categories (gender, race, age, economic class, sexual orientation, religion and ability/disability status) and how they affect stereotypes and identities forced upon us. 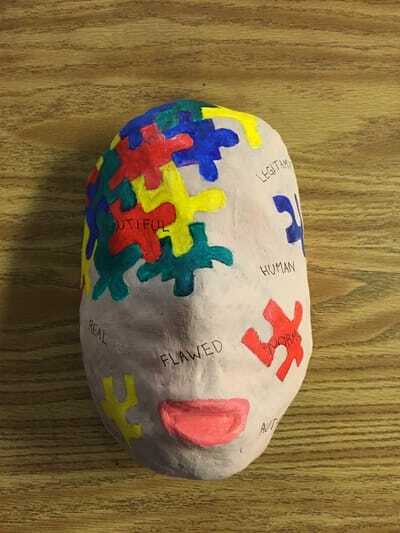 After we had all of this background knowledge (and several quizzes later), we created two of the three main final products incorporated in our Socialization/Mask Project. Those were our masks and essays. When we were completely done with these, we completed our final task, and were assigned different jobs to prepare our exhibition. I was a project manager, and my responsibility was overseeing the design teams and supporting them in their work. The exhibition was a mixture between an art gallery, an escape room, and a maze, and turned out almost perfectly.